My purpose is to provide photographic services and products that achieves customer satisfaction at an affordable price. 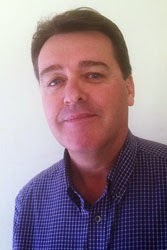 I am the owner and manager of Darren Stones Visual Communications and was born and raised in Melbourne. I have been a small business owner since 1982. I began my working life at age 16 in the family painting and decorating business. For the next 24 years, I continued as a painter and decorator in the business that proudly serviced Melbourne. We carried out contracts for builders, interior decorators, real estate agents, local councils, home owners, landlords, and small to medium-sized businesses. From 1996-2006 I was the manager and senior partner of Stones Painting. Since 2006, my small business pursuits have been photography, journalism and writing related. I sell photographic merchandise nationally and internationally, and supply images to Australian-based businesses and organisations for their various publishing and display projects. In 2013 I began studies in community services work and community development. My full-time employment goal is to become a social worker, mental health outreach worker or youth worker. I currently volunteer in two roles with Merri Community Health Services in Melbourne where I assist and support young carers, and I also provide 1:1 social and recreational support to a person. My beginnings as a photographer go back to late 1987, when at age 21, I purchased my first camera - a Mintolta X-700 SLR. A great camera indeed. I still own it, in fact I own two of them. Interestingly, I purchased my first camera to record my first holiday travels with my partner Bronwyn. Our first holiday journey together was to Lakes Entrance in Victoria and Merimbula in New South Wales. We had a great time together and brought home a few rolls of Kodak film for processing. Since 1987, photography has been an integral part of our travels. It is second nature to both of us, and we work closely together on many occasions. My father Gordon is also a tremendous assistant when out in the field, and he has accompanied me on many photographic trips. My interest in photography was inspired by him recording our family holiday travels when I was a kid. He took the photo you see below of me holding the bronze statuette. 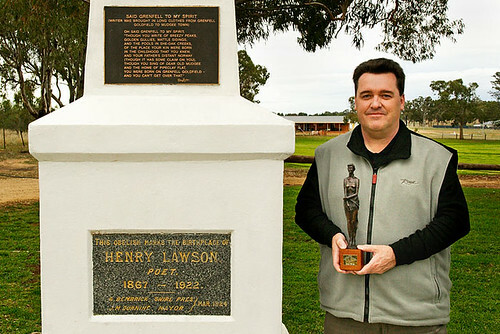 He was proud as punch to see me receive the award at the awards function at the Grenfell Henry Lawson Festival of Arts in June 2008. Kangan Institute - Real education. Real skills. Real jobs.